I remember the first time I read about Stella McCartney Body Milk. While leisurely browsing through my favorite Lucky magazine, I came across a “blink-and-you’ll-miss-it” article directed towards people like me, who prefer body lotion to perfume. Apparently, we are a small tribe, as suggested by the multitude of perfume ads in the magazine. Because I am a lotion gal, always favoring a light breeze of a scent rather than a thick perfume cloud, my choices have been limited. 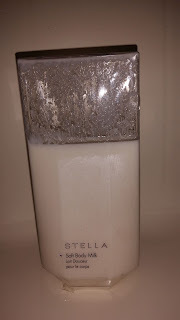 So, when the article touted that Stella’s Body Milk was light, yet lasted throughout the entire day, I couldn’t wait to try it. Having faith in my trusted Lucky beauty editor, I determinedly headed off to Sephora and made my purchase. Once home, I felt like a child on Christmas morning as I opened the pristine white box. Within a few seconds of applying the creamy body milk, I was in love. I decided to give Stella her test run at a family function, because I can always count on my family to tell me if I reek. Surprisingly, Stella passed the family test and I was ready to try her out in the real world. Depending on my mood, where I was going or who I was seeing, I would experiment with different lotions, but every time I chose Stella, I received numerous compliments. After a few weeks, it was a done deal. Stella was my signature scent. I’m not sure if any of you are like me, but once I found my signature scent, I tried my hardest to keep it a secret. Consistently evading the, “You smell so good. What perfume is that?” question became somewhat of a sport. Knowing what I know now, I doubt that I would have been so clandestine, as I’ve learning that popularity is what keeps a scent on the shelves. And my friends, Stella has left the building. Though I doubt I was her only buyer, Stella McCartney Body Milk didn’t pick up as much steam as her Stella perfume counterpart did, so now it sleeps with the fishes. While she sells a body lotion with some of the same notes as her old body milk, something is amiss in the scent department. As a result, I am stuck with two options, both of which I have attempted, somewhat successfully. Option A-Buy it on Ebay. Ebay still sells my Stella body milk, but it’s extremely rare and triple the price I used to pay. Sometimes, I can’t help but to splurge. But most of the time, I look at the old white bottle on my laptop’s screen and daydream about the days of wandering into Sephora to get my fix. Option B-Set sail on a new scent adventure. I am loyal to my scent, and after years of trying to find it, the idea of gathering the energy to unearth a new one is daunting. Perfumed lotions are just not as popular as perfume, so I will always run the risk of lotion extinction. In addition, I’ve found that when shopping for a new fragrance, I can only handle so much before my nose tricks my brain into thinking that everything smells exactly the same. Sephora simply can’t offer enough coffee beans to alleviate the “I’ve-smelled-too-many-perfumes-within-the-last-ten-minutes” dilemma. 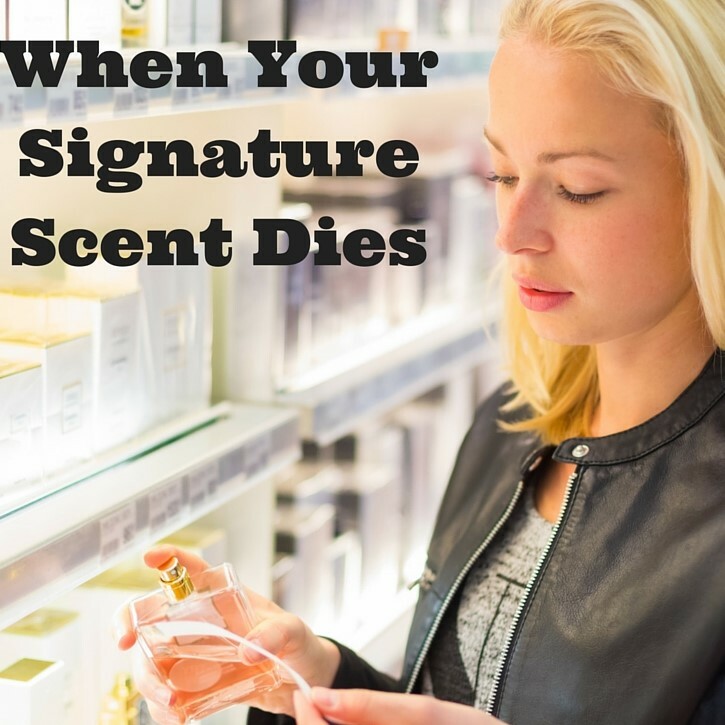 Not to mention, when picking a scent, I like to let some time pass before making the purchase. What if it smells great initially, but then a few hours later, I find that it doesn’t mix well with my body chemistry? Despite the obstacles, I am happy to say that I have found a replacement that competes bravely with my beloved Stella. And this time, I am going to shout it from the rooftops to avoid an untimely lotion death. 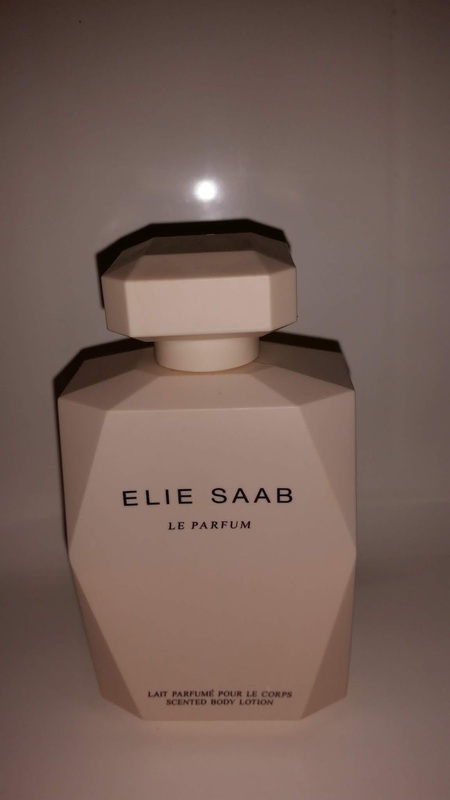 So, to my tribe of lotion gals, you might want to stock up on my new “secret” scent - Elie Saab Le Parfum Scented Body Lotion. I promise you, it was worth the hunt.